There is a new movement examining how CSR budgets can be spent more effectively. It seems like businesses today are getting better and better at tracking return on investment. This is especially true when it comes to investing in IT infrastructure, training, or sales and marketing spend. What is still largely unexplored territory, however, is tracking return on investment around corporate social responsibility spend, or CSR. But there is a new movement toward looking at how this budget could be spent more effectively. To be clear, CSR involves more than donations. It can encompass everything from employee safety, training, childcare, education and healthcare to environmental efforts and even taking stances on political and social issues. The 2018 Deloitte Millennials Survey shows a new generation of workers with a different expectation of their employer. They expect businesses they work for to have a more significant social impact, and this has an effect on loyalty and productivity. So building trust with employees through CSR efforts is an increasing area of focus but also requires a delicate balance. These efforts can often be criticised as either insincere or not going far enough. One Irish company recently set up with the mission to make improvements in this area, is ‘Effective CSR’. The business concept of Effective CSR is based on the model of Effective Altruism, a philosophy which has grown out of think tanks in Oxford University and in essence is about applying an investment mindset to the world of doing good. If you are going to donate some money to charity, then according to Effective Altruism at least, it makes sense to give where you can help the highest number of people, to the greatest degree with your money. Indeed, why would choose to help fewer people, less? Effective CSR then helps businesses to pinpoint the best giving opportunities for them to maximise their charitable “bang for buck”. Choosing to implement a more effective CSR program, can help to increase brand credibility, trust, and employee loyalty. According to Steve Thompson, senior leadership coach and facilitator at Effective CSR, there are practical steps which companies can take in considering where their donations would be most effective. When thinking about external CSR efforts, one way is to examine the scale of the impact. “I believe that large corporations can attain exceptional value for money if they donate in just the right way, to just the right causes. And in doing so, their staff will have no doubt that their work is making a real and very significant contribution to improving the lives of others” he says. “We’ve found we can really help business leaders clarify their values and identify the very best giving opportunities. It’s about listening first and foremost” he says. So, the mission of Effective CSR is to help businesses make well informed, data-driven decisions about where to invest their donations in having maximum impact. They do that through a mix of coaching, training and facilitation. “We encourage our clients to think like investors and base donation decisions on rigour, data and expertise. If you do, you can go beyond good intentions and create a legacy of substantial positive change. It is this real change, that good people will see isn’t about PR and will want to follow” he says. There are eight people in the organisation including an ex-chairman of Habitat for Humanity. There are several executive coaches, communications experts, and a tax consultant. The primary method used to find the best giving opportunities is to use data from organisations such as GiveWell, a US-based organisation, set up by two hedge fund analysts, with a mission to bring a more rigorous analytics-based approach to finding the most effective recipients of donations. This approach involves finding the charities which deliver the most substantial amount of benefit per dollar donated. Another approach involves looking at the social return on investment, a particular method of cost-benefit analysis, which calculates the social, economic and environmental value of an organisation’s services or activities. 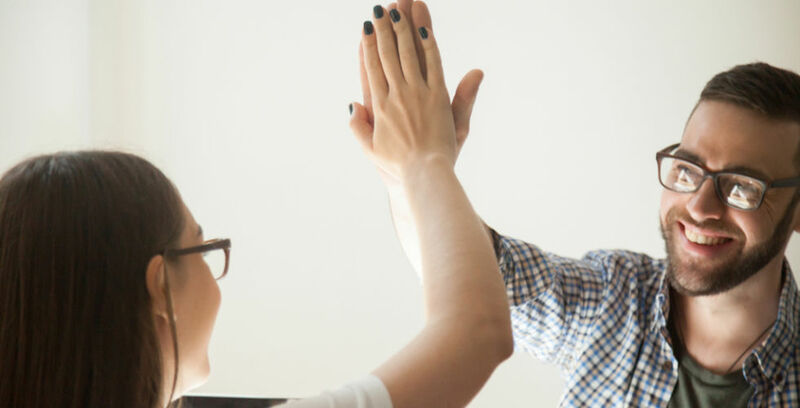 Enthusiastic employees are productive employees, and it has been shown that millennials today care about the social contribution of their employers and their individual part in this contribution. So employee engagement is a big part of starting a CSR program. This programme can include anything from improving general working conditions to providing a system of analytics around employee donations, such as that offered by Effective CSR, so there are small steps that any size business can take. CSR programs have been shown to increase productivity up to 13% and reduce the employee turnover rate by up to 50 per cent for large, publicly traded companies. Retaining employees cost a lot less in training and lost business. The best approach is to fit CSR into the business model of the company and to pick causes which align with organisational values. Being coached through this process can be a beneficial way to ensure the right approach is being taken. CSR design is crucial in determining whether projects will succeed or fail. To ensure a higher level of success, CSR goals need to be aligned business goals and have quantifiable metrics. Often CSR encompasses a wide range of metrics including data on sustainability, employee engagement, corporate giving, workplace diversity, ethical compliance and so on. It can be a daunting task to communicate and analyse all this data. But it is worth the effort? Companies have found that up to 60% per cent of their consumers will strengthen their affinity to a brand if they perceive it as being highly responsible and sustainable, not to mention the lower staff turnover rates. Corporate giving can then take place at either a local or a global scale, and there are different approaches to consider depending on the kind of business you are in, and the causes you wish to support. But there is a lot that a business can do. Business is known for getting things done, and by marshalling the talents of business, we can improve so much more in our social environments, creating more sustainable businesses in the process, so everyone benefits. The first step is to start designing a CSR strategy that best fits your business.